FRENCHMAN Jo-Wilfried Tsonga is officially out of the Australian Open. 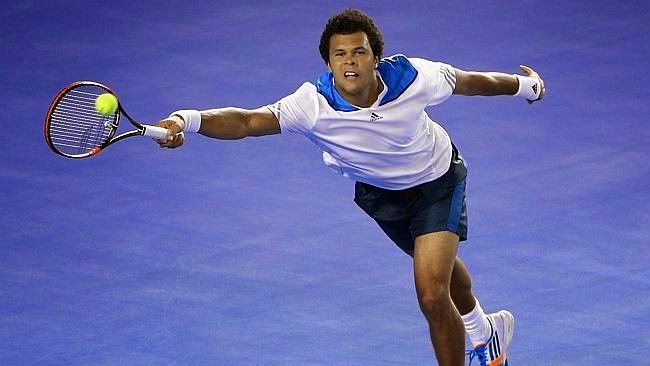 Home » Tennis Australia open » FRENCHMAN Jo-Wilfried Tsonga is officially out of the Australian Open. The world No 12 will also withdraw from the Kooyong Classic next week, confirming fears a troublesome right forearm injury has not settled. Posting a photograph on social media of a bandaged right arm, Tsonga said: “It’s with a big disappointment that I have to postpone today the start of my season declining the Australian Open. “I’m still suffering from a forearm inflammation (intersection syndrome) and that prevents me being at 100% of my capacities in a competition. “Then I’m going to receive over 3 weeks all the needed treatments to be able to be back on track in the best conditions. Runner-up at the 2008 Australian Open and twice a semi-finalist at Wimbledon, Tsonga struggled with the injury in France’s shattering Davis Cup final loss to Switzerland.